The Night Realm will release on October 20, with the cover reveal on August 21. I’m really excited about this book! Lyre’s narration was so fun to write–especially with the leading lady making his life so difficult. 😉 I can’t wait to hear what you guys think! And I’ll have more information soon on my other project this summer, the Steel & Stone alternate-POV collection. Steel & Stone News: The Big Reveal! 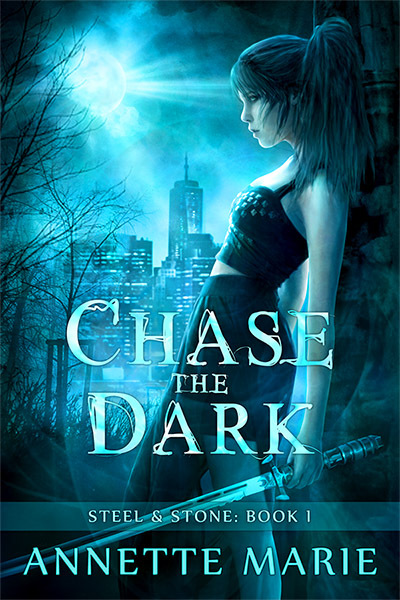 New CHASE THE DARK Cover!